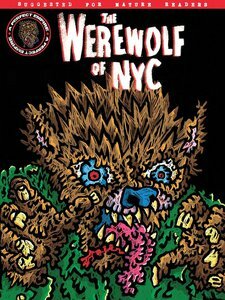 Set in Hell's Kitchen, NYC 1984 : Outcast Albert Shaw (Werewolf) violently lashes out while wandering the streets, taking drastic measures to bring meaning to his life. A rogue princess named Aisling teams up with Blake, a fallen Wonderland knight, and Bolder, a dwarf banished from his home, in order to protect the realm of Myst from the dark shadows of its past. Journey with this ragtag team of disgraced warriors as they fight for redemption in a world that has forgotten them. The nation's Black Ops budget is over-burdened and the best way to secretly re-allocate money is to do it in the open and exploit legitimate channels: your school taxes. But for this charade to succeed, the cadets will not only have to look like ordinary high school students, but act like them as well. Now they're being ordered to get really good at goofing off and to camouflage themselves as stereotypical jocks, bullies, nerds, and prom queens! 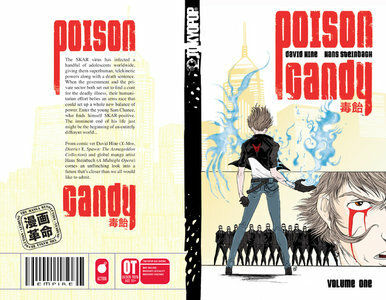 The SKAR virus has infected a handful of adolescents worldwide, giving them superhuman, telekinetic powers along with a death sentence. When the government and the private sector both set out to find a cure for the deadly illness, their humanitarian effort could set up a whole new balance of power. 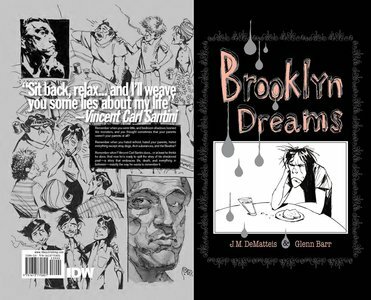 Enter young Sam Chase, who finds himself SKAR+. The imminent end of his life just might be the beginning of an entirely different world. 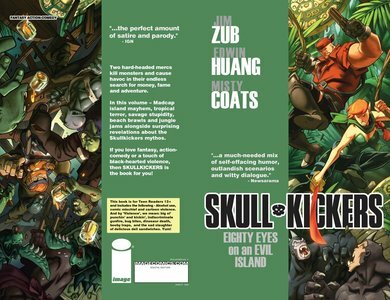 Collects SKULLKICKERS #18-23 (including the five 'unbooted' issues Uncanny, Savage, Mighty, All-New Secret, and Dark Skullkickers Dark). 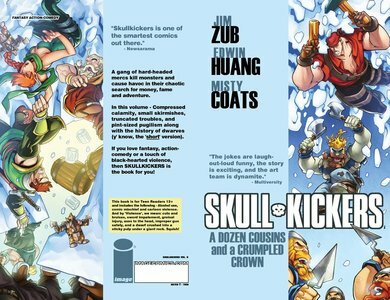 The third SKULLKICKERS adventure is a tidal wave of adventure: a pirate ship of lady buccaneers, dangerous cargo, sea monsters, food fights and the strange secret of the mysterious gun at the center of the SKULLKICKERS mythos. 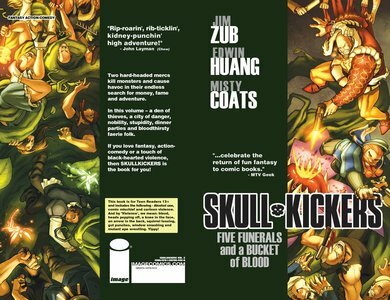 Jump on board and see why the Young Adult Library Services Association (YALSA) added SKULLKICKERS to their list of "Great Graphic Novels For Teens 2012"! 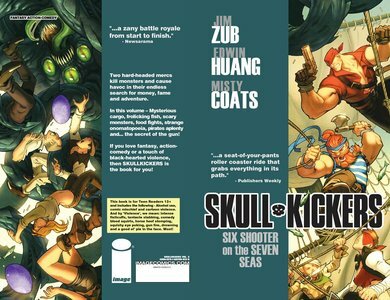 Collects SKULLKICKERS #6-11 plus Bonus Material! Hellspawn marked the return of Spawn, the guns blazing, take-no-prisoners warrior. 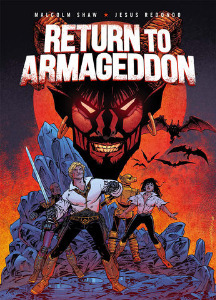 This next step in the evolution of Todd McFarlane's hell-born creation featured the creative minds of Brian Michael Bendis, Steve Niles, Ashley Wood, and Ben Templesmith, which redefined the mythos of the Hellspawn. 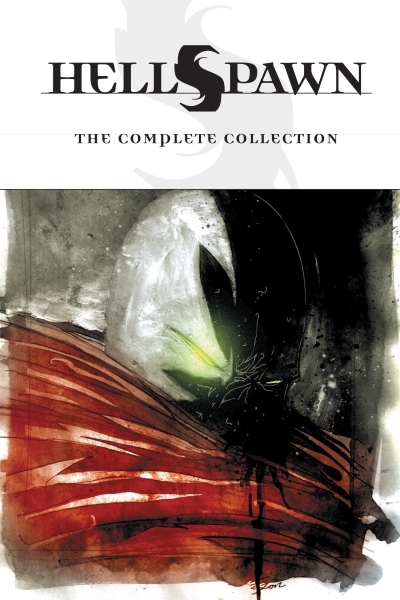 Hellspawn: Complete Collection includes the entire Hellspawn series along with additional art and behind-the-scenes content, as well as a never-before-published back-up story written and illustrated by artist, Ashley Wood. 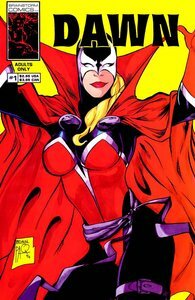 Collects Hellspawn #1-16. 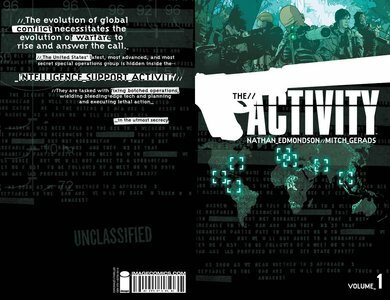 Collecting the hit Special Ops thriller that Fanboy Comics calls "a realistic story about the teams that protect us, without us ever knowing it." Follow Team Omaha from Uzbekistan to Somalia to Minneapolis on their globe-trotting, high-octane and high-tech execution of WARFARE WITHOUT WARNING. The evolution of global conflict necessitates the evolution of warfare to rise and meet the call. 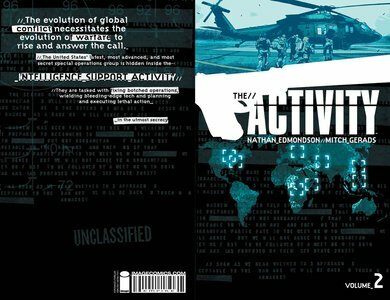 The United States' latest, most advanced and most secret special operations group is hidden inside the INTELLIGENCE SUPPORT ACTIVITY. They are tasked with fixing botched operations, wielding bleeding-edge tech and planning and executing lethal action in the utmost secrecy. 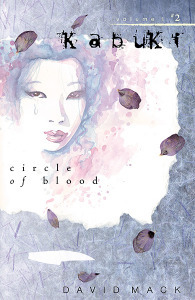 In a story that spans Japan's history and future, and alludes to the haunting traditions of the Japanese Ghost story, Kabuki: Circle of Blood touches on the interdependence between organized crime and politics in Japan. RAZORJACK - REMASTERED, REWRITTEN, REBORN! Fully remastered with all-new dialog and two brand-new short stories, this is the unforgettable horror of Razorjack as you've never seen it before! And all that stands in the path of her apocalyptic ambitions is a pair of rogue cops. 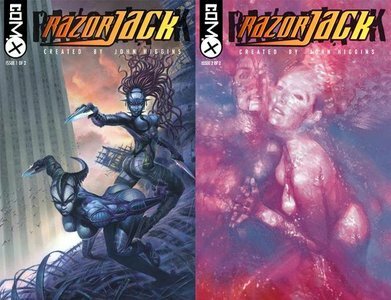 Their investigations into a series of horrific serial murders uncover Razorjack's horrific machinations, forcing the cracks ever wider between Earth and The Twist - and the death of humanity ever closer! 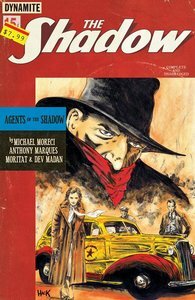 Faced with a world without The Shadow, his agents must step up and take down a crime syndicate that is crippling the city! From the mean streets to the mountains of China, the agents run a counter operation to break up this menace and uncover its mysterious leader. 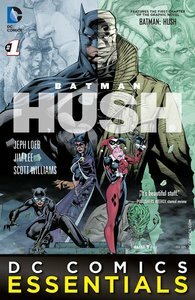 Margo, Jericho, Cliff, and more unite to stem the bitter fruit of crime! 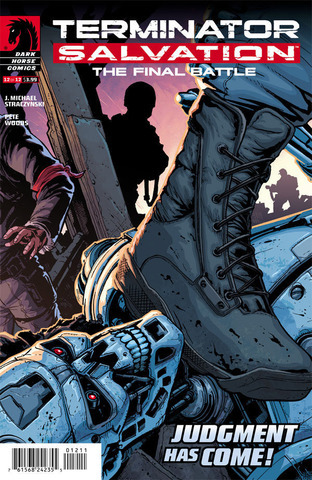 A-listers J. Michael Straczynski and Pete Woods unite for the biggest Terminator story ever! 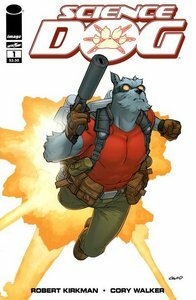 Hopping between the future and the past, this sweeping, twelve-issue epic counts down the end of the Machine War-but not the one fans expect! 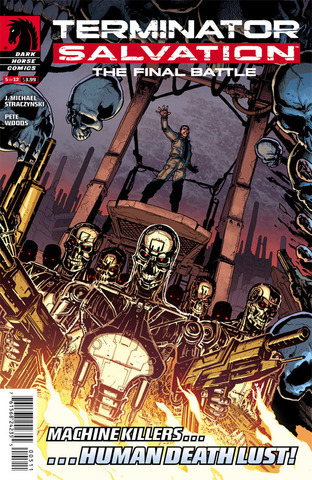 Everything's at stake, and the fates of Skynet and John Connor will be told! CLASSIC SF FROM THE VAULTS! Space battles, zombies, demonic children, the ultimate embodiment of evil – this epic, crossgenre tale from the early days of 2000 AD has long been sought after by fans of the Galaxy’s Greatest Comic. When the crew of a deep space transport ship extracts a devilish-looking alien corpse from a frozen world, they unwittingly unleash a destructive force upon the galaxy! 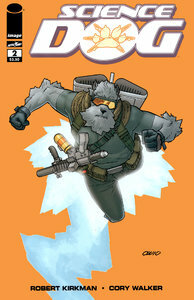 Only one man – the twin brother of the ‘Destroyer,’ has the power to stop the total annihilation of existence!